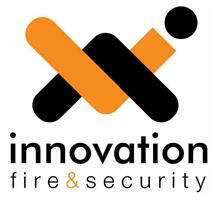 Innovation Fire & Security Ltd - Alarms/Security based in Crawley, West Sussex. We at Innovation Fire & Security pride ourselves on customer service; we professionally install security systems to the highest levels. Our company message is "Installing Quality of Service and Peace of Mind" we use this as a measurement constantly. And Pyronix as part of our Intruder / Burglar alarm systems. CCTV are designed from analogue, HD to IP systems and installed using Samsung, Panasonic,LG products. All systems can be viewed over the internet or through iPhones, ipads and other types of smart devices. Automation systems are made up from using equipment from FAAC, Came, and Door entry products range from BPT, Bell, Videx components. Paxton are our preferred supplier for Access control solutions, with Nortech, Pacc and HID offering alternative solutions. PLEASE NOTE; OUR TELEPHONE NUMBER IS A NON GEOGRAPHICAL NUMBER AND IS ONLY EVER CHARGED AT THE LOCAL RATE!!! !